It’s time to debunk some of the myths about Meals on Wheels. Myth: Meals on Wheels is an entitlement program. Fact: We are not an entitlement program. Our funding comes from grants and donations from our friends and neighbors in Ocean County. If our funding runs out, Meals on Wheels goes away. It’s that simple. Which is why we’re asking for your donation today. Myth: Meals on Wheels serves people who don’t really need their help. Fact: Every recipient of Meals on Wheels is thoroughly assessed as to need. Though we don’t means test, we rigorously screen every applicant to ensure our limited resources go to those who need it most. Meals on Wheels keeps housebound seniors living at home. If they weren’t home, they’d most possibly be in state-run nursing facilities, at a far more considerable expense to taxpayers. By keeping seniors at home, Meals on Wheels saves New Jersey taxpayers millions of dollars every year. Myth: Advances in medicine & technology means Meals on Wheels isn’t as necessary as it was. Fact: Seniors living longer though many are outliving their savings. In fact, what the U.S. Census Bureau refers to as “the oldest old”—seniors 85 and over—is the fastest-growing population in the country. This is especially true right here Ocean County. We are home to two of the towns with the largest percentage of 85+ senior citizens in the entire United States–Berkeley and Manchester. 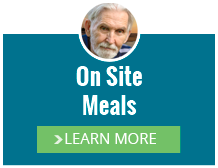 Myth: It takes a long time to receive Meals on Wheels. 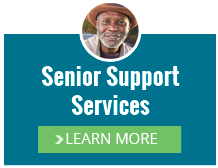 Fact: After meeting with an Outreach Worker to assess your needs, if you are eligible, your meal delivery service will begin within a few days. 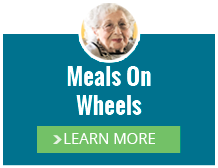 Myth: Meals on Wheels meals are cheap to prepare. Fact: It costs more than $10 per meal to prepare and serve each meal. That includes food costs, delivery expenses, gas, etc. All we ask is for recipients to consider a small donation of $2 per meal to help defray the costs. In order to continue providing these meals, we need your help. 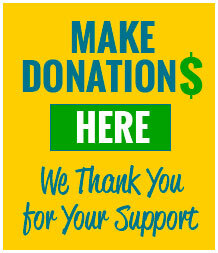 Please make a donation today. Myth: All Meals on Wheels of Ocean County does is deliver food. Fact: In addition to serving meals, our drivers serve as a daily wellness and safety check. Imagine…you live far from your loved ones and there’s no one that can check in daily to make sure they’re ok, or even say hi. That’s a big part of our job. Our Meals on Wheels drivers get to know our clients, becoming a regular, friendly face, as well as a set of eyes and ears providing reassurance that they’re OK.